EcoRise, a nonprofit curriculum and professional development provider, awards funds to two San Antonio school districts, North East and Northside. 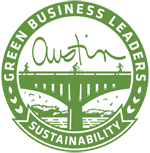 Austin, Texas, April 4, 2018 – EcoRise, a nonprofit organization that empowers youth to tackle real-world challenges in their schools and communities, is proud to announce grant funds have been awarded to two school districts in San Antonio, Texas. Both North East and Northside Independent School Districts will benefit from funding to support student-driven sustainability projects that include the conservation of natural resources and the creation of school gardens and outdoor classrooms. 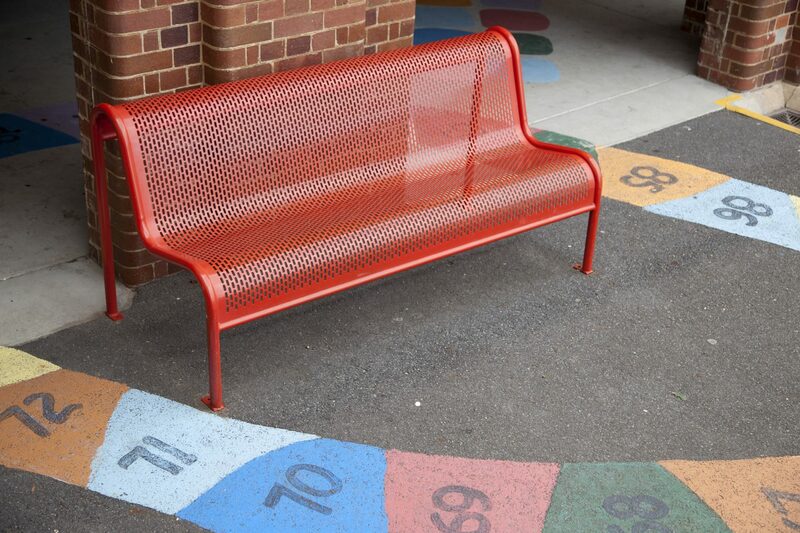 “We are excited to help our young people learn the importance of environmental responsibility. These grants will allow them to roll up their sleeves and be a part of authentic, sustainable solutions at their schools and within their communities,” says Gina LaMotte, Founder and Executive Director of EcoRise. In order to apply for an Eco-Audit Grant, students must first collect data around a specific theme on their campus, such as energy, waste, water, or public spaces. Based on this data, students are then empowered to identify their school’s sustainability strengths and challenges and design solutions that will improve the sustainability of their schools and communities for generations to come. For example, Jennifer Humphrey’s students at Nimitz Middle School (North East ISD) observed dead plants, infertile soil, and wasted water associated with their school garden. Using critical-thinking skills to create a viable solution, the students plan to convert the current garden into an eye-pleasing aquaponics garden, which is important in the development of a low maintenance and sustainable garden. It will not only help beautify the “mostly-cement“ grounds but will also reduce the use of 140 gallons of water annually. Ms. Humphrey’s students have been awarded a total of $1,885.47 in grants funds from EcoRise for the construction of the aquaponics garden, and other projects at the school including a vegetable garden, a butterfly garden, rain barrels and irrigation, and installation of compost bins. “EcoRise has been an amazing resource for my environmental science class this year. The lessons and activities are engaging and valuable and allow for higher level thinking in relation to the content. The Eco-Audit process has been very smooth and my students had no trouble going through each of the steps. My students were so into the project. They have gathered data, researched different aspects of their project, created an itemized budget, written step by step instructions, created digital models, and now are going to get to build their project.” says middle school teacher Jennifer Humphrey. “Since they were allowed to choose the focus of their project—whether it be a compost bin, a butterfly garden, or an aquaponics pond—they have truly taken ownership of the project and have now begun presenting their projects and their work to other people in the school and community” Humphrey added. Students at Nimitz MS testing rain collection and irrigation methods. EcoRise strives to integrate sustainability concepts into real-world learning, which provides students with an opportunity to dig deeper into their built environment and search for ways to make them better. 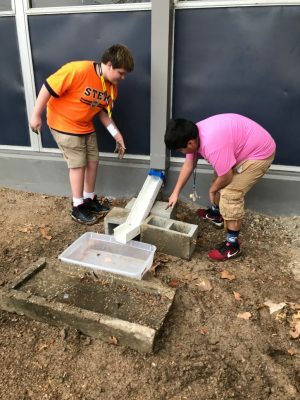 Diana Koon’s students at Pease Middle School (Northside ISD) looked to beautify school grounds and redesign a public space on campus after surveying the student population about how unused public space on campus could be better utilized. Ms. Koon’s students have been granted $755.88 from EcoRise’s Student Innovation Fund to develop an outdoor classroom. As a part of their project, trees will also be planted to provide shade and habitats for birds and other animals while sequestering carbon dioxide. EcoRise’s Student Innovation Fund is a part of a larger curriculum and professional development program offered to teachers who are passionate about environmental education, student-driven instruction, and inspiring our young leaders to take action in their communities today. In San Antonio, funding for student projects is provided through the generous support of the City of San Antonio. Free program scholarships are still available to teachers in the greater San Antonio-area. “Thanks to our partners at Rackspace and the City of San Antonio, there are a limited number of scholarships still available to San Antonio area teachers. If you are a K-12 teacher who is passionate about scientific inquiry, and authentic, STEM-based education, we invite you to enroll in our program!” says Abby Randall, Program Director of EcoRise. Teachers are invited to learn more and enroll at https://ecorise.org/si-program/. EcoRise develops the next generation of creative problem solvers by enlivening conventional classrooms with academically-aligned K-12 curriculum that introduce students to environmental literacy, social innovation and hands-on design skills. Green professionals serve as guest speakers and project mentors to help students solve real-world sustainability challenges concerning energy, water, waste, transportation, air quality, food and public spaces. The program focuses on enhancing STEM education, promoting sustainability, introducing students to green careers, and helping students develop 21st century skills. To learn more about EcoRise, visit ecorise.org.